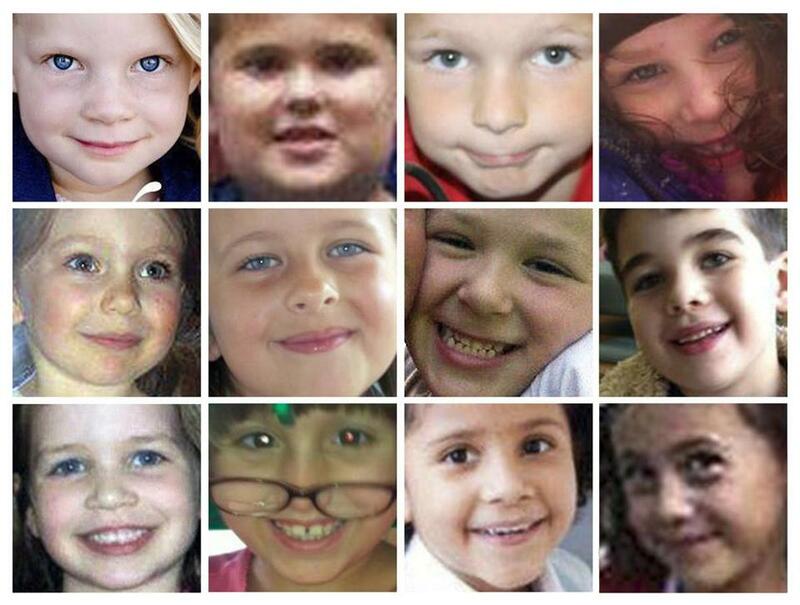 Twelve of 20 children killed at Sandy Hook Elementary School in Newtown, Conn. Dec. 14 In the top row, from left to right, are Emilie Parker, James Mattioli, Chase Kowalski and Charlotte Bacon; Middle row: Olivia Engel, Grace McDonnell, Jesse Lewis and Noah Pozner; Bottom row: Jessica Rekos, Josephine Gay, Ana Marquez-Greene and Avielle Richman. Information for these profiles was culled from the Associated Press, statements from the family, Facebook pages, and obituary information, as well as other media reports where noted. Their lives had hardly begun. But they were full lives, full of sports heroes and playing make-believe, of firsts and favorites, of simple childhood wishes. Through their grief, friends and family of the 20 children killed in the shooting massacre at Sandy Hook Elementary School in ­Newtown, Conn., recalled their young spirits and little ways, the things they loved and the love they gave. Jessica Rekos had asked Santa for new cowgirl boots and a hat and dreamed of having a horse of her own. 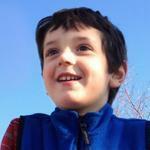 Daniel Barden was a “constant source of joy,” a fearless spirit. 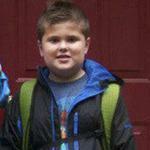 Noah Pozner was a whip-smart child who loved to read and to learn how things work. Allison Wyatt was a shy, sweet girl who “loved everything.” Through their families’ eyes, here are glimpses of those children, all of them just 6 or 7 years old. Charlotte Bacon never met an animal she didn’t love, and from the age of 2 wanted to be a veterinarian. The energetic redhead practiced tae kwon do weekly with her father and brother and “relished kicking and throwing punches!” her family said. “The family will forever remember her beautiful smile, her energy for life, and the unique way she expressed her individuality, usually with the color pink,” her family said. On Friday, her mother gave into her pleas and let her wear a special new outfit to school, a pink dress and boots. 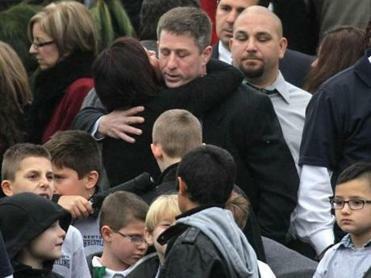 Amid incalculable loss, this grieving town began the task of burying the young victims of Friday’s shooting rampage at Sandy Hook Elementary School. 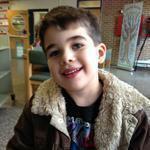 Read: A Sandy Hook Elementary School in Newtown, Conn.
“This little girl could light up the room for anyone,” he said. Daniel Barden, the youngest of three children, was “the light of his family’s life,” a fearless spirit who earned his ripped jeans and missing two front teeth. 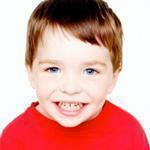 “Words really cannot express what a special boy Daniel was. Such a light. Always smiling, unfailingly polite, incred­ibly affectionate, fair, and so thoughtful toward others, imaginative in play, both intelligent and articulate in conversation: in all, a constant source of laughter and joy,” the family said. Daniel loved spending time with his family, riding waves at the beach, playing the drums in a band with his brother and sister, and making s’mores around the bonfire with his cousins. His funeral will be Wednesday. 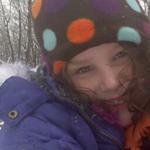 Olivia Engel loved school and excelled at math and reading, her family said. She loved to draw and design things, and she loved to laugh. She played tennis and took art classes, loved her swimming and ballet lessons. Olivia was a great big sister, her family said, who was “always very patient with her 3-year-old brother, Brayden.” She was learning her rosary, and led grace every night at dinner. She was a grateful child who was ­always appreciative, a smiling 6-year-old who, in her father’s words, had a lot to look forward to. On Friday, a longtime family friend said, Olivia was excited to go to school, then get home and make a gingerbread house. Josephine Gay was nicknamed “Boo” because she looked like the character in the animated children’s movie “Monsters, Inc.,” according to a Facebook post by Carole Laude Pechi. Josephine had a beaming smile, friends said. She celebrated her seventh birthday last Tuesday. She enjoyed riding her bike and selling lemonade at a stand that she would set up in her neighborhood. Sinde Candella, who used to live nearby, said Josephine’s parents, Bob and Michelle, are loving and devoted. “May God be with you and may he hold Josephine in his arms in heaven,” she posted on Facebook. Josephine loved the color purple. In her memory, neighbors hung purple balloons on their mailboxes and gates. 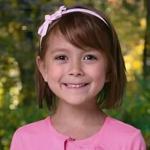 Madeleine Hsu, 6, was an “upbeat and kind” young girl, a neighbor said. 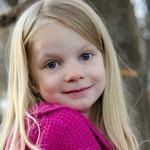 “She was a sweet, beautiful little girl,” neighbor Karen Dryer told the Wall Street Journal. Catherine ­Hubbard will be remembered for her love of animals and constant smile, her family said in her obituary. “Her family prays that she, all the students of Sandy Hook Elementary, and all those affected by this brutal event find peace in their hearts,” it reads. In a statement, the family said it was deeply saddened by the loss of their “beautiful daughter,” and sent their prayers to the families of other victims. They expressed gratitude to emergency workers, teachers at Sandy Hook, and the authorities and asked for privacy in their grief. “We ask that you continue to pray for us and the other families who have experienced loss in this tragedy.” ­Funeral services have been planned for Thursday. 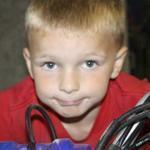 Chase Kowalski loved playing baseball with his dad, riding his ­bicycle, and just being outside. He was always in motion, and ­always smiling, neighbors said. 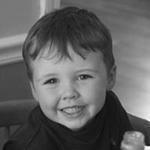 A fun-loving, energetic boy with a “true love of life,” Chase ran in many community road races and completed his first triathlon at the age of 6. He had a deep love for baseball, and could often be found playing in his yard. Jesse Lewis had hot chocolate with his favorite breakfast sandwich — sausage, egg, and cheese — at the neighborhood deli before going to school Friday morning. Jesse liked to play farmer and was learning to ride horses, friends said. 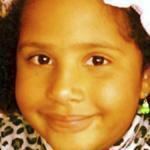 Ana Marquez-Greene was an “incredibly loving and spunky kid” who loved to sing and dance, a family friend said. 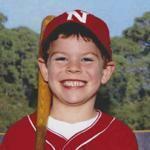 Noah Baerman described the 6-year-old as vivacious and affectionate and the product of two loving parents. She loved to sing and play piano, CNN reported. “What happened does not match up with the place where they live,” she said. “I love you, sweetie girl,” he wrote. James Mattioli, fondly called J, was an energetic, loving friend to all, his family said in his obituary. He loved baseball and basketball and would wear shorts and a T-shirt in any weather. He grabbed gel to spike his hair and loved to sing at the top of his lungs, once asking how old he had to be to sing on a stage. He loved to dive off the diving board and proudly rode his bike with no training wheels. James loved his big sister and wanted to do everything she could do. He was born four weeks early, and his family would often quip it was because he was hungry. He loved hamburgers with ketchup, his father’s omelets with bacon, and his mother’s french toast. He liked Subway, and wanted to know how old he needed to be to order a foot-long sandwich. He adored spending time with his dad doing yard work, the family wrote, and watching him grill burgers on the deck. “If dad was outside, James wanted to be right there with him,” they wrote. Grace McDonnell was the “love and light” of her family. Her parents, Lynn and Chris McDonnell, said they could not believe the outpouring of support they have received. Their daughter was the center of their lives and was always smiling, they said. “Words cannot adequately express our sense of loss,” her family said. Her grandmother, Mary Ann McDonnell, told the Boston Herald she is devastated. The little girl used to love playing dress-up with her grandmother’s jewelry. 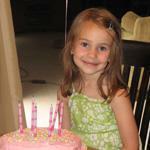 Her grandmother said Grace loved art projects, soccer, gymnastics, and playing with her King Charles Spaniel, Puddin. She had a 12-year-old brother, Jack. “A little baby like that - I just hope she didn’t suffer,” her grandmother said. 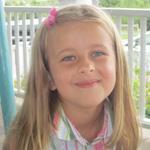 Emilie Parker could quickly cheer anyone up with her bright smile, her family said. The 7-year-old loved drawing and writing cards. Her father, Robbie Parker, said his daughter was always smiling and was adventurous, except when it came to food. Her father is now faced with having to explain the death to his two other children, ages 3 and 4. He said the world is a better place because of his daughter’s life. “I’m so blessed to be her dad,” he said. Jack Pinto was a boy full of energy. The 6-year-old was on the town’s wrestling team and loved the New York Giants. 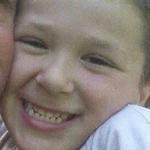 The joyful little boy was buried Monday. “In life and in death, Jack will forever be remembered for the immeasurable joy he brought to all who had the pleasure of knowing him, a joy whose wide reach belied his six short years,” his family said. Jack especially loved Giants wide receiver Victor Cruz, who on Sunday wrote, “Jack Pinto, My Hero,” on his cleats. “I was going to do whatever I can to honor him,” Cruz said. Cruz will give the gloves he wore during Sunday’s game to the Pinto family. The young boy celebrated his birthday two weeks ago and was best friends with his twin sister, Arielle, who survived the shooting, and their older sister, ­Sophia. “They were always playing together; they loved to do things together,” said Noah’s uncle, Alexis Haller of Woodinville, Wash.
Noah, “smart as a whip,” loved to read and figure out how things worked. He was gentle, but could be rambunctious, his family said. Ray Horvath, 65, a teacher for a ­local nonprofit that provided tutoring for 60 children at the elementary school, knew the young boy. 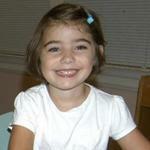 Caroline Phoebe Previdi was a first-grader who loved to draw and dance. Her smile brought happiness to everyone she touched. 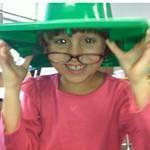 The 6-year-old belonged to St. Rose of Lima Catholic Church in Newtown, where a burial Mass will be celebrated Wednesday. Jessica Rekos loved everything about horses, her parents said. She read books about them and wrote stories of her own about them, too. For Christmas, she asked Santa for new cowgirl boots and a cowgirl hat, and she dreamed of having a horse of her own when she turned 10. 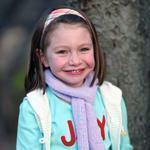 Her family recalled Jessica as a “creative, beautiful little girl” who loved playing with her little brothers. The firstborn, Jessica was “our rock,” her parents said. “We cannot imagine our life without her. We are mourning her loss, sharing our beautiful memories we have of her, and trying to help her brother Travis understand why he can’t play with his best friend,” they said. Funeral services are planned for Tuesday. 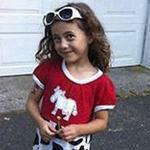 Avielle Rose ­Richman, daughter of Jennifer Hensel and ­Jeremy Richman, was born Oct. 17, 2006, in San ­Diego and moved to Connecticut with her family last year. Those who knew her said she had a spitfire personality, infectious smile, and beautiful spirit. 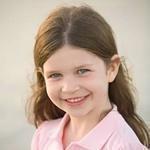 Avielle loved music, horseback riding, archery, kung fu, swimming, ice skating, and super hero adventures. She had a pony named Betty and two cats. She celebrated her sixth birthday in October. Benjamin ­Wheeler was “an irrepressibly bright and spirited boy whose love of fun and excitement at the wonders of life and the world could rarely be contained,” his family wrote in his obituary. “His rush to experience life was headlong, creative, and immediate,” it read. He was a devoted fan of his older brother, Nate, and the two of them ­together filled the house with the noise of four children. He loved soccer, smiling and laughing as he moved the ball, nearly always at full tilt. He was becom­ing a strong swimmer and loved his lessons. Eager to learn, he could not wait to get to school to see his teacher and his growing group of friends. Earlier in December, Ben performed at a piano recital. He loved the Beatles, lighthouses, and the Number 7 train to Sunnyside, Queens. Before school Friday, he told his mother he still wanted to be an architect but also wanted to be a paleontologist. “Because that’s what Nate is going to be, and I want to do everything Nate does,” he said. 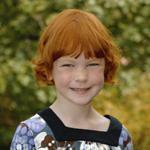 Allison Wyatt was recalled as well ­behaved and loving. She was a very shy girl. She was quiet and kept to herself, but she would smile at things. “If a kid did something funny, she’d be laughing,” said day-care teacher Kate Capellaro of All for Kids in Ridgefield, where Wyatt and her sister, Lauren, were sometimes dropped off by their mom. When her mom left, Allison would cry sometimes. “She would come and put her head down on your shoulder if she was ­upset,” Capellaro said. Omission: Profiles of the 27 victims of the Connecticut school shooting, which were published in Tuesday’s Metro section, should have noted that information was culled from the Associated Press, statements from the family, Facebook pages, and obituary information, as well as other media reports where noted. The profile of Grace McDonnell should have noted that comments from her grandmother were drawn from the Boston Herald.